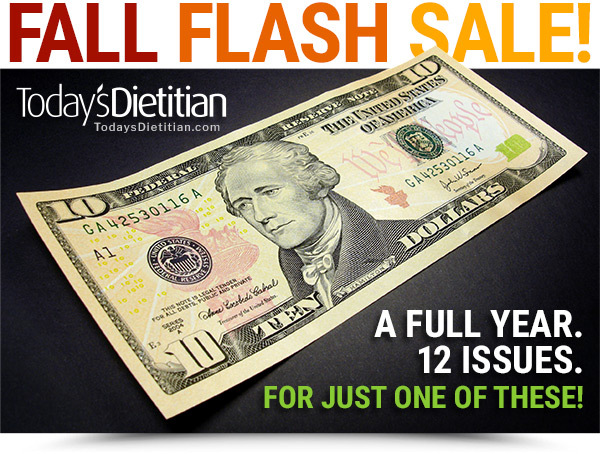 Now for just $10, get a one-year subscription or renewal to Today's Dietitian magazine, the leading publication for nutrition professionals for nearly two decades. Take advantage of this limited-time offer and enjoy a full year of news, information, research, and professional commentary designed specifically for nutrition professionals. Offer ends Sunday, October 14, 2018, at 11:59 PM EDT.